Saguaro Buttes is located 5.5 miles from Houghton Rd. and Old Spanish Trail traveling South on Old Spanish Trail. 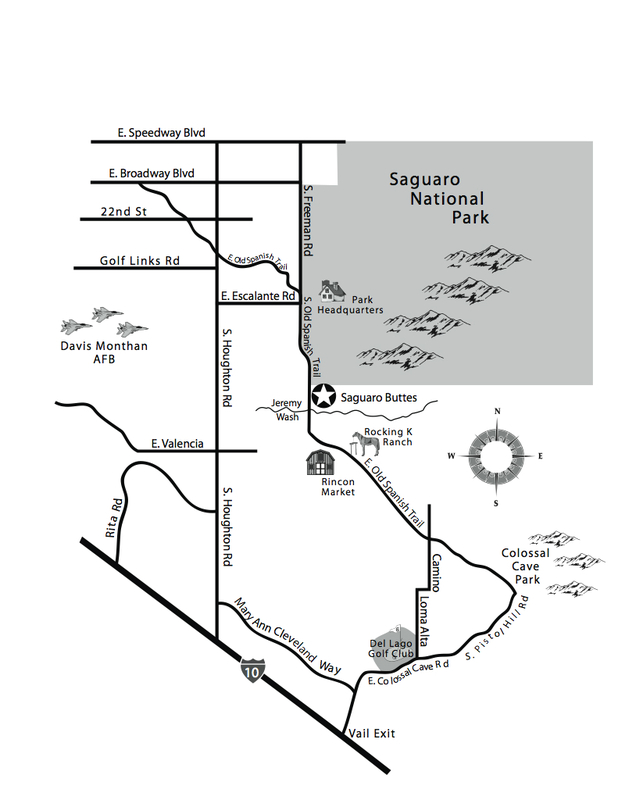 It is located 2 miles south of the entrance to the Saguaro National Monument Entrance. If you pass Jeremy wash as you travel on Old Spanish Trail you have gone too far.